Do you want to know the later "additions" in your English Bible? Do you want to know the later "additions" in your English Bible? Do you want to know the later “additions” in your English Bible? In studying the Word, it is important to know that there are parts in your English Bible translation that were just added later on to help you “…understand, organize, and relate to the text,” better as what Dr. Robert Thompson said in Bible Study 101 from the Breadcrumbs Ministries. Here are 3 common “additions” found in your English translation that would be helpful as you study your Bible. So the italicized words in your English Bible, were not being emphasized or regarded as more important than the others. They were simply printed that way for grammatical reasons. “When the books of the Bible were originally written, they did not contain chapter or verse references,” gotquestions.org writes. Yet through time, verses and chapters were added in our Bible for us to easily navigate through the Scriptures either for reference or quotation as blueletterbible.org explains. According to Dr. Robert Thompson in Bible Study 101 from the Breadcrumbs Ministries, it was Stephen Langton who developed the chapter divisions of the Bible. Meanwhile, it was a Jewish rabbi named Nathan and Robert Estienne who divided the Old and New Testament into verses, respectively. 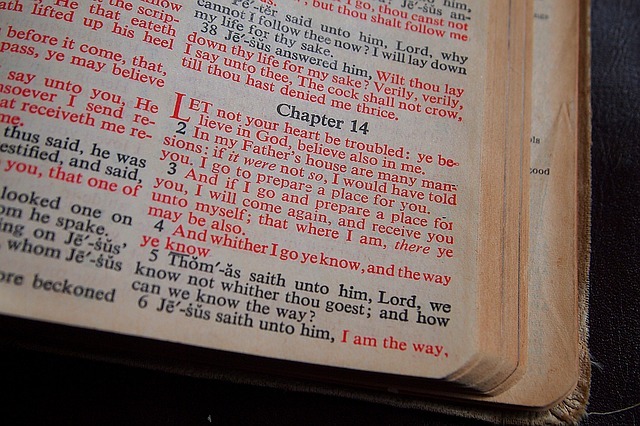 Have you seen an English Bible with words highlighted in red? It was intended to show and also put emphasis on words directly spoken by Jesus Christ. According to biblecollectors.org, the idea of printing the words of Jesus in red was started by the enterprising immigrant journalist, Lous Klopsch (1852-1910). Since its conception, several English Bible translations had published special editions using Klopsch’s red lettering. These were the later “additions” in your English Bible. But remember, you shouldn’t regard these as part of the Scripture nor should these “additions” distract you from reading God’s Word. These were included to help you understand and study the Scripture easier. Do you have any questions or prayer requests? Call us at 737-0700, if you are in Metro Manila. If you are outside Metro Manila or the Philippines, you can contact us through the CBN Asia Prayer Center. Hi Mariyln, maraming salamat sa pagbisita sa aming website. Para sa panalangin, maaari mong tawagan ang aming prayer center sa 737-0700, ito ay bukas 24/7. God bless you.